The version 11.0 of our network calculation software CERBERUS offers a number of new functions to the user. Calculations of the load flow and for the evaluation of local power generators are now also possible for unbalanced systems. Standard load profiles can be integrated into single load flow analyses and into the calculation of the network values for a day. The means for selectivity analysis have been extended significantly. More detailed information on CERBERUS 11.0 is included in a flyer. Test versions can be requested here. The Fraunhofer Institute for Solar Energy Systems ISE, Stadtwerke Wolfhagen and Adapted Solutions have jointly launched the project “DiGO” last year. The main topic of “DiGO” is the automated grid expansion planning in the low-voltage grid. A press release (German) of the Fraunhofer Institute can be found here. This year’s CERBERUS User Meeting will take place on 7.11. in Chemnitz. The program (German) includes the presentation of the new CERBERUS version 11.0 as well as presentations on current research and development projects. A session of CERBERUS Basic Training is scheduled for the 6th of November. Registration for the user meeting or the training can be done online or by sending the form. The new version 6.3 of Portunus includes enhancements in the support of SPICE netlists and the FMI standard, a number of new features and optimizations. An overview of the new features in Portunus 6.3 is available here. Trial versions can be requested via the form. The project “Universal Dynamic Network Calculation” (Undyne), which will be jointly carried out by Adapted Solutions and the Professorship of Energy and High Voltage Technology at Chemnitz University of Technology, has started. Within the scope of this project, mathematical methods for the fast dynamic simulation of energy systems will be developed. The aim is to provide a simulation platform that can be used to quickly calculate different network structures (public grid, stand-alone grid, symmetric or unbalanced loads) even for longer periods of time. This project is supported by grants from the European Regional Development Fund (ERDF). The new version 10.0 of CERBERUS comes with a fundamentally reworked numerical kernel, now able to run simulations in the time domain. Another new feature of CERBERUS 10.0 is a module to analyse the selectivity of the protection devices in a CERBERUS schematic. More detailed information about CERBERUS 10.0 is given here. Adapted Solutions will share a booth together with our Swiss partner Applied Magnetics on the XXIIth International Conference on Electrical Machines (ICEM’2016). CST – Computer Simulation Technology AG and Adapted Solutions have signed a contract about licensing the technology of the simulation software Portunus for CST and a continuative collaboration. Further information can be found here. This year’s CERBERUS User Meeting will be held in Chemnitz on April 13th. The program includes presentations about the new CERBERUS version 10.0 and a new module for the selectivity analysis of protection devices. 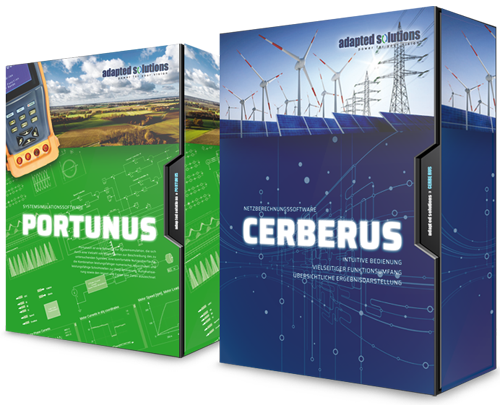 Other contributions describe current trends in the energy supply and applications of CERBERUS. Depending on the demand, a session of CERBERUS basic training will be scheduled for the 12th and / or 14th of April. The registration form for the user meeting and the training course can be found here. As in the previous years, we will be present at the PCIM in Nuremberg (May 19th – 21st) and show the latest versions of our products. You can find us in Hall 7 at booth 512. We have also been involved in a paper called “An Open Framework for Algorithm Based Multi Criteria Optimization of Power Electronic Systems” presented during the conference. The new version 6.1 of our simulation software Portunus provides new interfaces for reading models defined by XML text and the generation of stand-alone applications, expanded model libraries and a new software for the definition and execution of parameter sweeps and optimisation runs. An overview about the news in Portunus is given here. Requests for evaluation versions can be sent here. By means of a newly developed XML interface, CERBERUS 9.0 offers an alternative to the graphical input of the network diagram and thereby a way for a seamless data import from other applications. Other highlights of the new version are expanded analyses and new models for components of smart grids (voltage regulated transformer, voltage regulator). More detailed information about the new release is given here. This year’s CERBERUS User Meeting will be held in Chemnitz on November 5th. The program includes presentations about the new CERBERUS version 9.0, new means to exhange data with other software (especially GIS) and current topics from electrical power supply industry. Depending on the demand, a session of CERBERUS basic training will be scheduled for the 4th and / or 6th of November. The registration form for the user meeting and the training course can be found here. The Vogel Buchverlag has published the “Praxishandbuch Stromverteilungsnetze” (German edition only) which deals with technical and legal aspects of the grid expansion within the frame of the “Energiewende”. The book comes with a CD that comprises a time-limited version of our software CERBERUS and a tutorial that demonstrates the software-based analysis of power grids. Also in 2014 Adapted Solutions will be showcasing its products and expertise at the PCIM (20th to 22nd May) in Nuremberg again. You can find us at booth 442 in hall 7. New features in the support of VHDL-AMS and the software interfaces expand the opportunities for the users of Portunus. Information about Portunus 5.2 can be found here. Requests for an evaluation version can be sent here. The company Maccon organizes the “Motor Design Seminar 2013” from December 9th to December 12th in Munich. Parts of the program are presentations by Dr. Thomas Barucki about system simulations with Portunus. This year’s CERBERUS User Meeting will be held in Chemnitz on November 6th. The program includes presentations about recent and future developments of CERBERUS, applications of our software and current issues of power grids. Depending on the demand, a session of CERBERUS basic training will be scheduled for the 5th and / or 7th of November. The registration form for the user meeting and the training course can be found here. Due to new interfaces (OLE, http), the new version 8.0 of CERBERUS offers a bigger range of possible applications. In addition, new functions have been added to models, the graphical user interface and the license module. Details about CERBERUS 8.0 can be found here. Adapted Solutions is present at the PCIM in Nuremberg also in this year. You may find us in hall 7 at booth 442B. The VBEW Dienstleistungsgesellschaft mbH hosts a seminar about the “Technical Realisation of EEG” (German Renewable Energy Law) at 5th March 2013 in Munich. The second session of this seminar will be a presentation by Adapted Solutions about “Network Calculation Software as Smart Grid Element”. More information is given here. At the VDI conference “Power Electronics in Hybrid and Electric Cars”, which takes place in Frankfurt-Mörfelden on March 20th and 21st, Adapted Solutions and the Robert Bosch GmbH will present a paper on the topic “Design and Simulation of Control Systems for Hybrid Drives”. This year’s CERBERUS User Meeting will be held in Chemnitz on October 17th. Besides the presentation of the new CERBERUS version 8.0, the program includes specialists presentations on current issues in the field of energy supply. Depending on the demand, a session of CERBERUS basic training will be scheduled for the 16th and / or 18th. The registration form for the user meeting and the training course can be found here. The project HERRB is run within the frame of the Clean Sky Joint Technology Initiatives. In this project, the University of Bristol (project coordinator), Motor Design Ltd. (UK) and Adapted Solutions develop a prototype of a Helicopter Electric Regenerative Rotor Brake. More information about the project are given here. Adapted Solutions announces the release of Portunus 5.1, the new generation of its system simulation software. An overview about the news in Portunus 5.1 is given here. Evaluation versions can be requested here. Adapted Solutions will be present at the PCIM in Nuremberg also this year. You can find us in hall 12 at booth 752C. The first workbook that uses Portunus for the realisation of simulation examples has been published. The second updated edition of “Übungen zur Leistungselektronik” by Jäger/Stein comes with a CD containing Portunus and a set of exercise files. More information are given here. Our network calculation software CERBERUS has got a number of new useful features in its new version 7.0. The most important new functionalities are a “Project Manager”, the option to define look-up tables for the control of real and reactive power of alternative power sources and the calculation of the maximum allowable power injection of an alternative power source. A more detailled description of the new features in CERBERUS 7.0 is given here. The CERBERUS User Meeting 2011 takes places on October 6th in Chemnitz. The program contains the presentation of the new CERBERUS version and technical presentations given by renowned companies. A session of CERBERUS Basic Training will be given depending on requests on October 5th or 7th. For the registration to the user meeting and/or the CERBERUS training course please use the form for registration. At the EPFL Lausanne, the “Summer school EMR‘11” takes place from July 4th to July 6th. This event is dedicated to the “Energetic Macroscopic Representation” (EMR) method. Amongst other topics, the application of the EMR method in our software Portunus is demonstrated. Adapted Solutions exhibits at PCIM in Nuremberg (May 17th – 19th) at the booth 12-260. A paper about “Combination of Analysis Tools for the Estimation of Motor Performance under Various Load and Cooling Conditions” is presented at the conference. Within the frame of the joint research project “Solar – Simulation and Optimization Methodology for Power Electronic System Design”, the companies Bosch, CST – Computer Simulation Technology AG and Adapted Solutions together with the Technische Universität Berlin will develop a software solution for the electro-thermal design of power electronic components. The project is supported by the German Federal Ministry of Education and Research. The VBEW Dienstleistungsgesellschaft mbH hosts a seminar about software solutions for the evaluation of alternative power generators at 17th March 2011 in Ulm. During the first session, Adapted Solutions will explain aspects of grid compatibility calculations for alternative power generators. More information can be found here. The version 6.0 of CERBERUS offers a number of new functions. The graphical user interface has been expanded by a table view of the results. Integrated sorting and zoom functions make it now easy to determine the most critical parts, even for big systems. 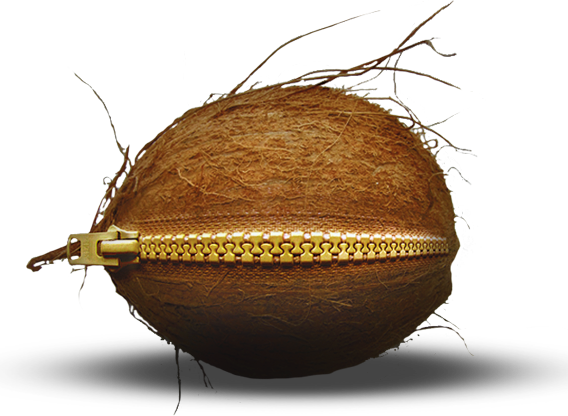 The numerical core has been optimized which gives a reduction of the calculation times by more than 50 per cent on average. New models and several detail improvements complete the appearance of CERBERUS 6.0. An overview about the new functions is given here. The fourth CERBERUS User Meeting takes places on June 23rd in Chemnitz. The program includes the presentation of the new version CERBERUS 6.0 and three technical presentations. A CERBERUS Basic Training will be given depending on requests on June 22nd or 24st. For the registration to the user meeting and/or the CERBERUS training course please use the form for registration. Adapted Solutions presents its software products and expertice at the PCIM (May 4-6) in Nuremberg. We can be found at booth 12-260. The road shows (agenda) are free of charge. Please register in advance. The new features of Portunus 4.1 like the co-simulation interface to Matlab/Simulink and models for the simulation of magnetic circuits expand the application range of our system simulation software. Additional functions of the automation interface allow for an easier integration of Portunus into design flows. CERBERUS 5.0 comes with new functions. Amongst others, the introduction of the “Multiple Pages” technology and the new feature “Sub-Systems” make the analysis of big network structures much more convenient. With the parallel release of Flux 10.3 by Cedrat and Portunus 3.2 SP1, coupled simulations have become possible. Co-simulation of Portunus and Flux allows for the detailed analysis of electro-magnetic processes within machines, sensors and actuators by Flux and the simulation of connected supply, load and control systems with the help of the modelling options provided by Portunus. Students may apply for free licenses of Portunus and CERBERUS (copy of student card required). Adapted Solutions will be present at the PCIM 2009 (12-14.5) in Nuremberg in booth 12-548. The third CERBERUS User Meeting takes places at June 18th in Chemnitz. The program includes the presentation of the new version CERBERUS 5.0 as well as three technical presentations. A session of CERBERUS Basic Training is scheduled for June 17th. To register for the user meeting and/or the CERBERUS training course please use the form for registration. Version 3.1 of our system Simulator Portunus offers important new features. By supporting the IEEE standard model description language VHDL-AMS, new means of modelling analogue, digital and mixed-signal systems are provided. Modelling and simulation of power electronic systems are made easy by the new “Power Electronics Library”. A reworked graphical user interface makes the handling of Portunus even more comfortable. Please click here for starting a short product presentation. With the release of the new version of Portunus, the range of training courses has been expanded too. Detailed information can be found in the Training Courses section. The new version 4.0 of CERBERUS is now available. It features the new “Connecting Point Analysis”, models for fuses and energy storages as well as expanded short circuit calculations. Adapted Solutions will be present at the PEMD 2008 (April 2nd to 4th, York/UK) together with Motor Design Ltd (UK). During the PCIM 2008 (27-29.5) in Nuremberg Adapted Solutions can be found at the Maccon booth (12-548). The second CERBERUS User Meeting takes places at April 24th in Chemnitz. The program includes the presentation of the new version CERBERUS 4.0 as well as two technical presentations. A session of CERBERUS Basic Training is scheduled for April 23rd. The version 2.1 of the system simulator Portunus is now available. Main new features include the import of SPICE netlists, a major update of the “Thermal Library”, models for translational motion and the handling of 3D-look-up tables. With the release of the version 1.4 the system simulator Portunus provides a number of new functionalities. The most eye-catching features are the library management, a programming interface (C++), the equivalent circuit import from InCa and new comfort functions of the wiring. Version 3.0 of the network calculation software CERBERUS is available. Beside a number of minor improvements, it provides new functions for the calculation of flicker values and switching voltages. Adapted Solutions will be present at the PCIM Europe 2007 (Nürnberg 22-24.5.2007) and can be found at the booth of the Maccon GmbH (12-548). Dr. Thomas Barucki will give a presentation about “Software Solutions for Design and Simulation of Drive Systems and Power Electronics” (May 22, 2:05 PM). The CERBERUS User Meeting 2007 takes place at March 7th in Chemnitz. Beside the presentation of the new version CERBERUS 3.0, two presentations about current issues of net power grid operation and fee calcuation are on the agenda. A session CERBERUS Training will be offered on the next day. With the release of the Thermal Library a powerful Portunus add-on for thermal simulations becomes available. more.. Adapted Solutions GmbH has been established as the legal successor of the Adapted Solutions Barucki & Schmidt GbR at January 9th 2007.